Digital CampusOne of the purposes of the Millennium Project, the sponsor of this web portal, was to explore the use of emerging digital technologies in the development of new approaches to instruction. 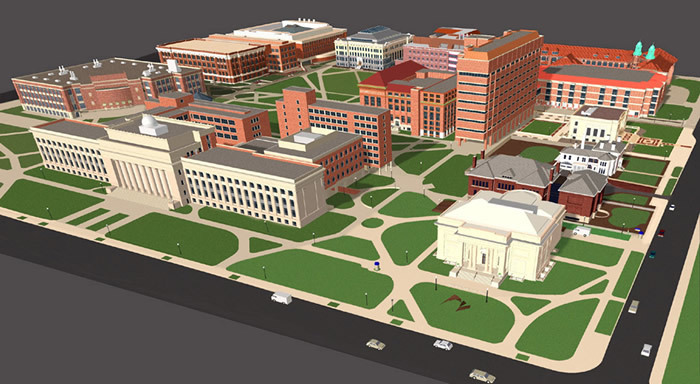 The history of the University of Michigan was used to explore several of these approaches, including a comprehensive three-dimensional digital simulation of the campus and its evolution, virtual reality simulations, digital video and DVD-based materials, and sophisticated database methods for organizing and searching through scholarly materials. Several of these digital resources are provided on this website.